Fear makes us say really bad things sometimes. We just don't know everything about anyone. Read the book. Then, watch Frances McDormand serve it up on screen. Bonus… Bill Murray. The two of them together… Heaven. 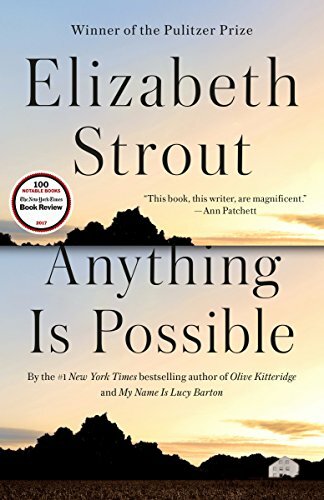 At the edge of the continent, Crosby, Maine, may seem like nowhere, but seen through this brilliant writer’s eyes, it’s in essence the whole world, and the lives that are lived there are filled with all of the grand human drama – desire, despair, jealousy, hope, and love. 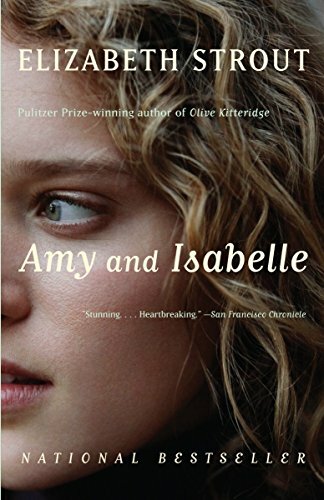 As the townspeople grapple with their problems, mild and dire, Olive is brought to a deeper understanding of herself and her life – sometimes painfully, but always with ruthless honesty. 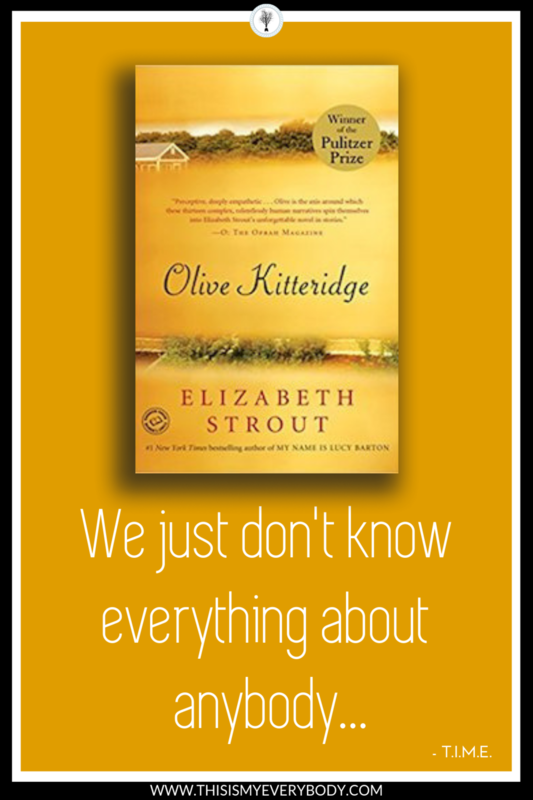 Olive Kitteridge offers profound insights into the human condition – its conflicts, its tragedies and joys, and the endurance it requires. 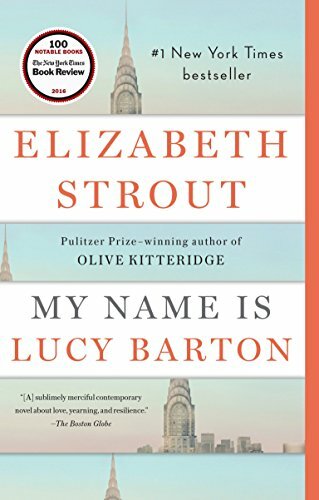 #1 New York Times bestselling author and Pulitzer Prize winner Elizabeth Strout continues the life of her beloved Olive Kitteridge, a character who has captured the imaginations of millions of readers. 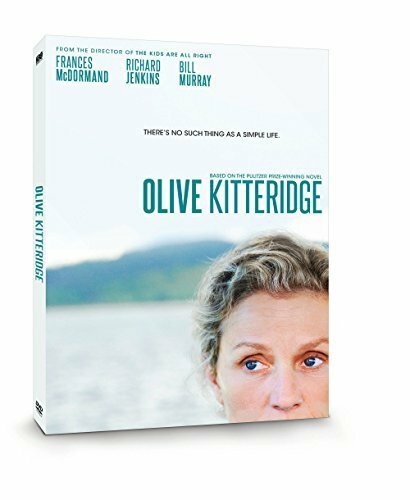 Prickly, wry, resistant to change yet ruthlessly honest and deeply empathetic, Olive Kitteridge is “a compelling life force” (San Francisco Chronicle). 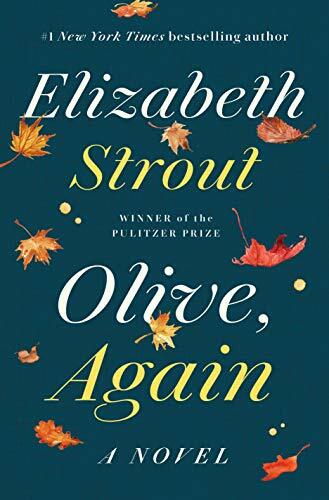 The New Yorker has said that Elizabeth Strout “animates the ordinary with an astonishing force,” and she has never done so more clearly than in these pages, where the iconic Olive struggles to understand not only herself and her own life but the lives of those around her in the town of Crosby, Maine. Whether with a teenager coming to terms with the loss of her father, a young woman about to give birth during a hilariously inopportune moment, a nurse who confesses a secret high school crush, or a lawyer who struggles with an inheritance she does not want to accept, the unforgettable Olive will continue to startle us, to move us, and to inspire moments of transcendent grace.